MKC's Upcoming Releases page has been getting a little big lately and rather than delete what has taken a long time to compile, I'm going to start a monthly breakaway. A few days before each month, I will preview it's coming Korean attractions in a dedicated article and two months later the month will be deleted from the main Upcoming Releases page. Each month will still be available in an archive on the page, which will assemble these breakaway posts. So here is the first post for January 2012. It's a few months old but I will catch up until I April by the end of the week. 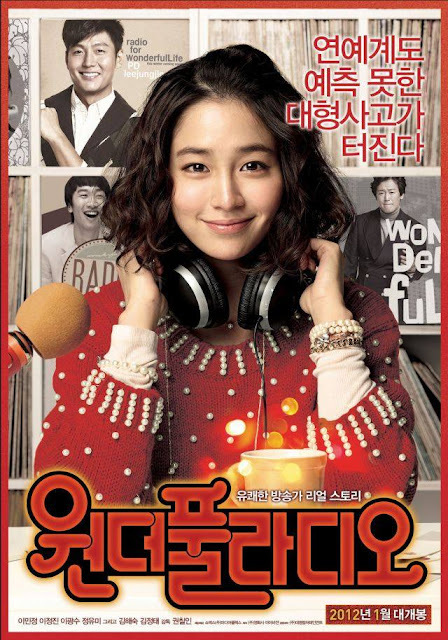 Synopsis: Gina (Lee Min-jeong) was once a popular singer, she now hosts her own radio show. Suffering from low ratings, the show's producer is sacked and replaced by Jae-ik (Lee Jeong-jin). The irritable Jae-ik and the conceited Gina get on each other’s nerves but soon grow closer. Love On-Air was the first platform Korean release of 2012 and had a decent opening but reviews have not been kind. The romcom seems to be a motley collection of kpop references and cameos with a good dose of melodrama stirred in for good measure. The film is Kwon Chil-in's fifth, following such works as Singles (2003) and Hellcats (2008). Synopsis: Hyun-Soon (Hwang Jung-min) harbors a secret which only her mother, who is in a coma, and her pregnant daughter know about. When Hyun-Soon's siblings plan to pull the plug on the respirator that is keeping their mother alive at the hospital, she becomes very angry. Jesus Hospital, the debut film from Shin A-ga and Lee Sang-cheol, who have previously worked as assistant directors for Lee Suk-hoon and Lee Myung-se respectively, has triumphed at recent Korean film festivals. It had its world premier at Busan in October, where it scooped up acting prizes for its leading women Hwang Jung-min and Han Song-hee as well as the Citizen Reviewer's Award. It was also screened in last December's Seoul Independent film festival where it scooped up the Grand Prize. The pair of first-time helmers look to be a solid addition to the already thriving independent Korean film scene. Synopsis: A poor lawyer turned politician (Hwang Jeong-min) becomes a Seoul mayoral candidate while his wife (Uhn Jeong-hwa) makes an attempt at singing without him knowing at first. Dancing Queen, led by its star power and song and dance premise prevailed as the no. 1 new movie during the crowded Lunar Day holiday weekend. Notices have been mixed but generally positive. Uhm Jeong-hwa goes back to what she knows best as she initially scaled to fame as a singer and Hwang Jeong-min, a great character actor with superb comic timing, plays her husband. Synopsis: Dong-joo (Uhm Tae-woong) is an easygoing romantic while Song-kyun (Jeong Ryeo-won) organizes her life meticulously. They both develop terminal illnesses and soon they meet. Though they are polar opposites, they go out on a date. A double dose of terminal illness leaves little to the imagination as to what kind of a film this will be like. Neverending Story is Jung Jong-joo's first feature, he was previously a co-writer and assistant director on Princess Aurora (2005). The presence of the very talented Jeong Ryeo-won (Castaway on the Moon, 2009; Pain, 2011) does show some promise however. Against tough competition during the Lunar Day holiday weekend, the film was unable to draw in significant crowds, landing at number 7. 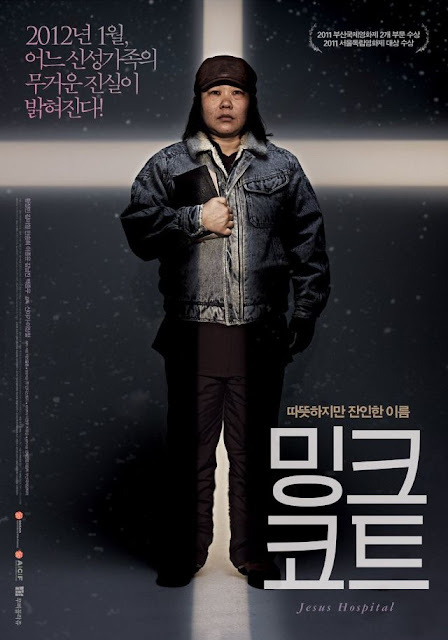 Synopsis: The true story of Kim Myung-ho (Ahn Seong-Gi), a professor who was denied tenure by his university after he questioned the validity of a math question in its entrance exam in 1995. After years of litigation against the university, Kim lost and shot a crossbow at the judge who handled his case. Based on controversial true events, Unbowed is Chung Ji-young first film in 14 years. He was previously for making socially-conscious films such as White Badge (1992). Unbowed features a big performance from one fo the most respected actors in the industry Ahn Sung-kee has starred in films for over 50 years, going all the way back to the original The Housemaid (1960). The film received a lot of positive attention after its screening at last year's Busan Film Festival. The Wall Street Journal even ranked it in its top 10 Asian films of 2011. Unbowed opened strong and was a close second to Dancing Queen during the busy Lunar New Years weekend. 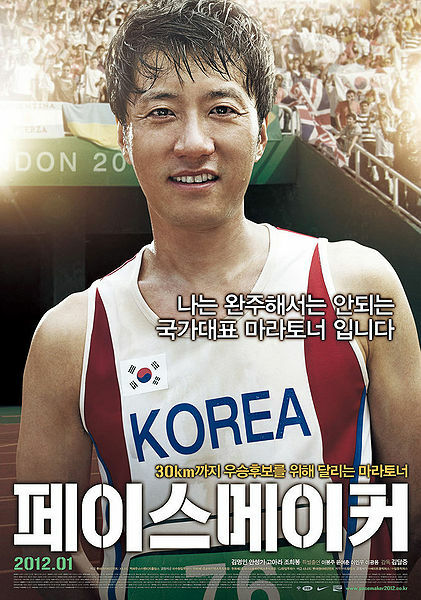 Synopsis: Former Olympic pacemaker Man-Ho (Kim Myung-min) is now retired. He then attempts to run 30km to complete a 42.195km marathon for the first time in his life. 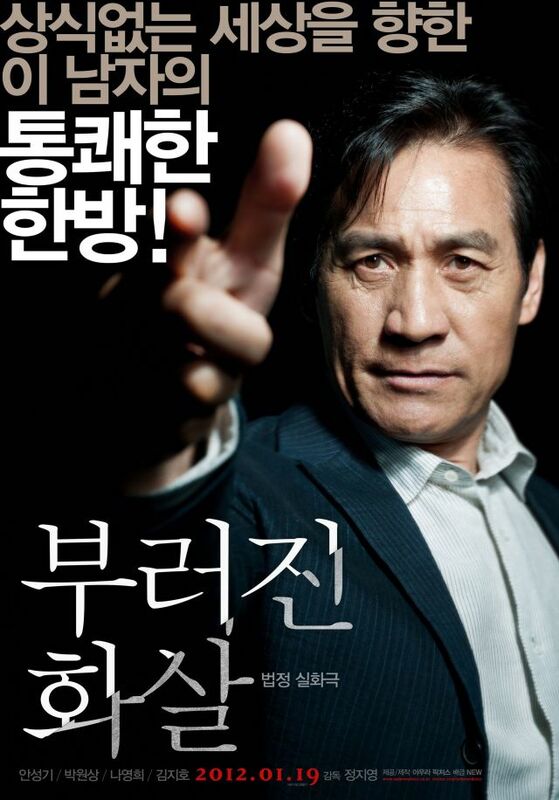 The first film from veteran musical director Kim Dal-joong stars Kim Kyung-min who has come into his own as a leading man of late with starring in recents hits Detective K (2011) and Man of Vendetta (2010). The film released a lot of pre-release buzz but despite a few positive notices it opened at number 6 during the Lunar New Years weekend. Synopsis: 70 million years ago dinosaurs ruled the Korean Peninsula the same way they ruled the rest of the earth. 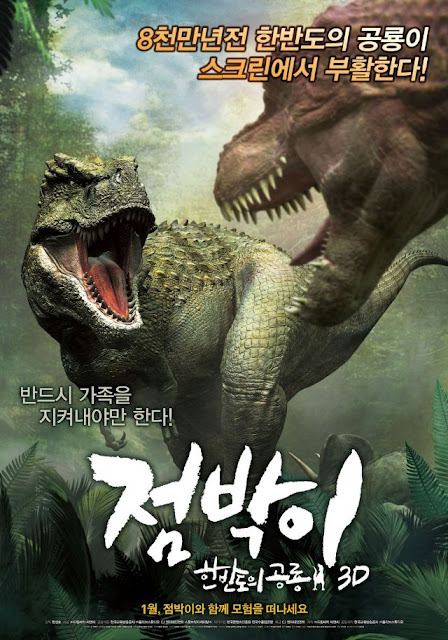 At that time the part of the land now known as Jeonnam Yeosu was the forest habitat of numerous dinosaur species: Tarbosaurus. The youngest of a family of Tarbosaurs, Spotty is a curious and playful child. Along with his mother and siblings, he lives happily in the forest, waiting patiently to learn to hunt. When that day arrives, it marks the beginning of a long and painful journey into adulthood for Spotty. This 3D dinosaur animation began to generate some buzz last May as CJ was able to presell it to a number of territories during the Cannes film market, including Russia, India, Germany, Thailand, Portugal, Turkey, the Middle East, Singapore, Benelux, Malaysia/Indonesia. In September Well Go USA purchased the American rights, adding to the film's prospects.